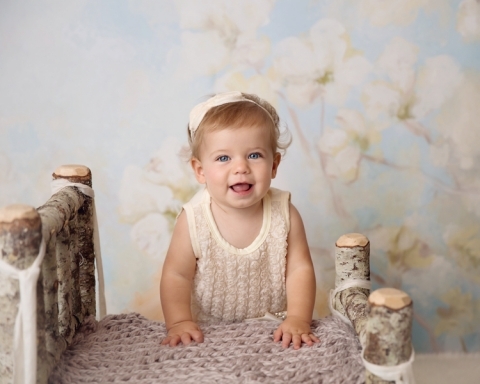 Oh my goodness, Hanna is ONE! Since when do these babies grow up so quickly?? 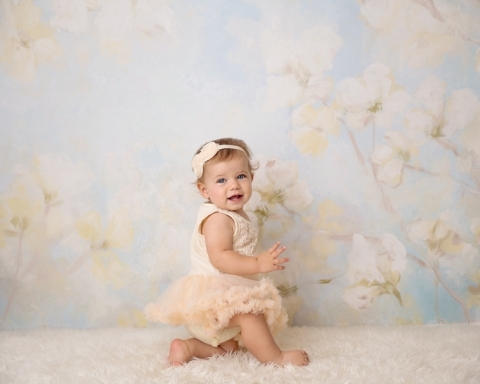 It seems like yesterday that we did her momma’s maternity session and now this little lady is celebrating her first birthday. It’s so amazing to watch these itty bitty babies grow into active toddlers~ it truly is one of the best things for what I do! I love this sweet set up and of course those little curls hanging out! This little bed from Woodsy Wonders Props is always a go to! 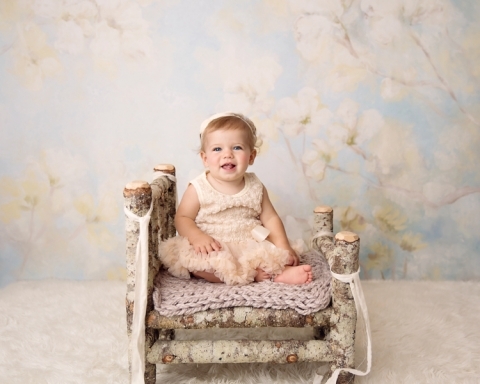 Babies love to sit on it and it goes perfectly with the backdrop from Intuition Backgrounds. Hanna was all business when it came time for the cake….after all, how many time do you get a cake all to yourself, especially when you are the third child?? 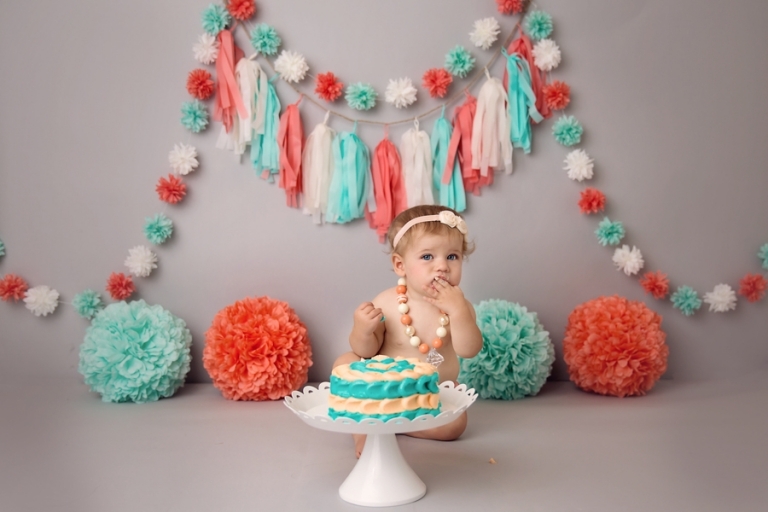 Hanna’s nursery is coral and turquoise, so of course we had to use those colors for her birthday- what a gorgeous color combination. I love how it pops with the grey. The adorable cake is by A Cupcake A Day in Medina, Ohio– if you’ve read my other blog posts, Shawna is my go to gal! Thank you for stopping by! As always, comments and shares are always appreciated! If you are interested in scheduling your custom session, please contact me at mary@marychristinephotography.com. Also, be sure to check out the pricing guide and more cake smash sessions.